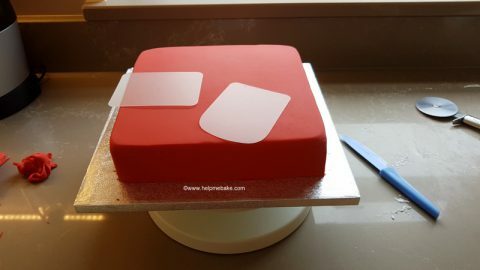 The good thing about cake is that you can have pretty much any design you want! 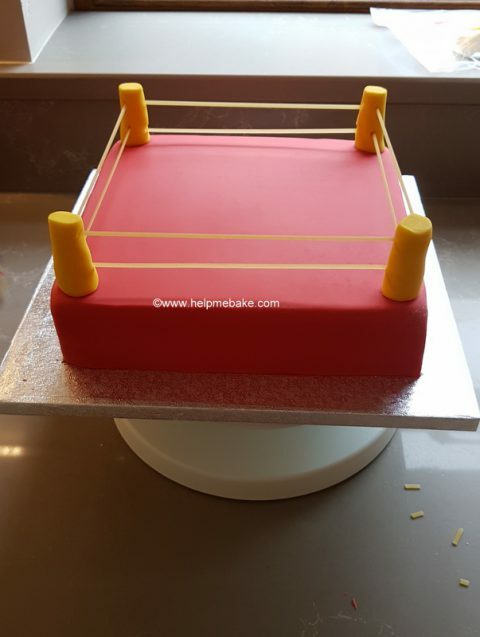 No matter what your brief you can create one of the wackiest cakes that you can think of and something that is unique to only you. This year my daughter had a mixed bag of ideas and finally came up with this design for her 13th birthday! The making of the toppers can be found in the Fun Zone. Now to the cake part! 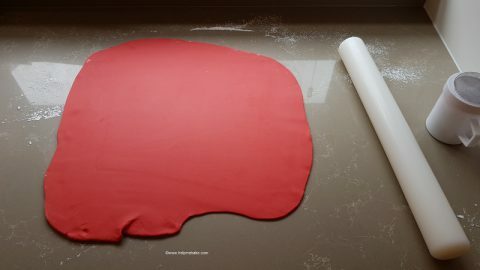 Firstly we rolled out Renshaw’s Poppy Red Icing. 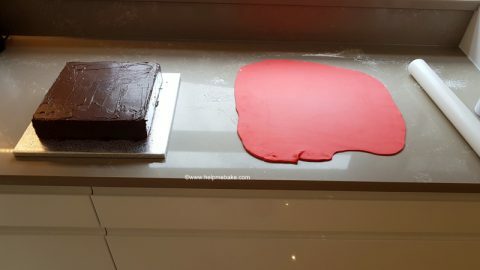 I then covered the cake in chocolate fudge icing, ready for it to be covered in the red icing. Once the icing had been put onto the cake, I cut the excess off with a pizza cutter. 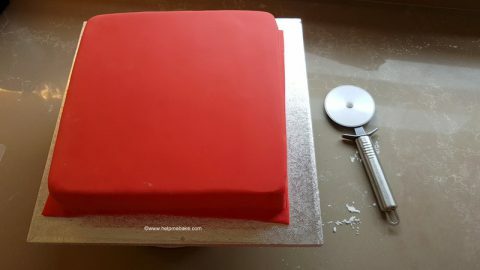 I then smoothed the cake over with a regular cake smoother and then used the Flexi smoothers for a more defined edge. 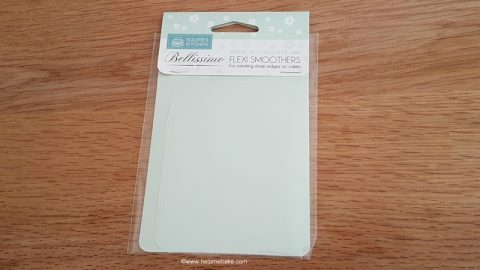 I used the smoothers on the edges to make them sharper and then cut the final pieces of icing off with a sharp knife. 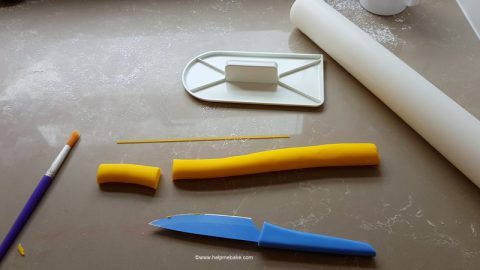 I rolled out a large sausage with Renshaw’s yellow icing, cut it into four pieces and then used linguine for the ropes. I pushed the linguine straight into the icing to form the ring. You can secure the corner posts with either candy sticks or linguine pushed into the cake. Once complete the cake was now ready for the toppers. 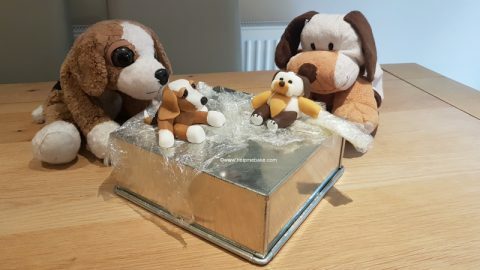 These are the cake toppers my daughter and I had made a few days before. I made the one on the left and Han made the one on the right. Here’s Han with the final cake design, I made the bone out of white icing, shaped it with my hands and then scored it with a veining tool. The dog prints were made using small circle push cutters and were stuck with edible glue. The scoreboard on the front was made freehand; however, the letters and numbers were created using Cake Star Easy Push cutters. That is fantastic, it looks marvellous and Han looks very happy. 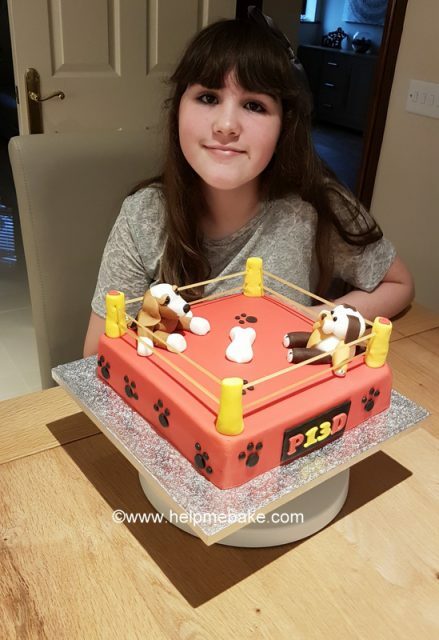 Congratulations on reaching the teenage years, now the fun and games start, enjoy your cake I'm sure it will taste as good as it looks. The last photo took about 5 attempts! Thanks guys, it turned out much better than I thought. Considering it was a wacky idea to start with I'm quite pleased with the end results! I wonder what she will want next year! It's a good job she's not old enough to drive one then.